Nexxis specialises in delivering innovative solutions such as remote visual inspection cameras (RVI), non-destructive testing (NDT), and measurement equipment for the energy energy and mining sector. Our products enable clients to safely inspect remote locations, rapidly access confined spaces, or subsea and effectively measure the integrity of material or an asset to ensure its reliability and availability both on and offshore applications. Nexxis support comes from a team that has experience in the field and can assist in providing equipment that is fit for purpose, as well as offering training. Nexxis’ Advanced NDT testing solutions examine a wide range of criteria in oil and gas environments, such as Digital Radiography, Eddy Current, MFL, IRIS, TOFD, Untrasonic Flaw detection, x-ray fluorescence (XRF) or positive material identification (PMI), including the LYFT system by Eddyfi for (CUI) Corrosion under insulation amongst other methods. These methods ensure equipment integrity and optimal asset performance by detecting any defects or irregularities, as well as helping clients to prevent possible damage and save on time and costs. Nexxis’ RVI equipment consists of the most advances borescopes and robotic crawlers, as well as push rod and pan-tilt-zoom (PTZ) camera systems and are designed to operate in a wide range of inspection environments, such as pipework, engines, turbines, vessel hulls, heat exchangers, condensers and much more. These modern, long-lasting instruments achieve high-quality content and are supported by user-friendly software with innovative features to enhance productivity, protect assets and ensure safety and quality. Nexxis has a range designed to suit any application, including subsea. Nexxis offers a selection of financing options to allow clients to rent, lease or buy equipment on either a short or long-term basis. All equipment is available on demand and can be quickly delivered, so clients are able to effectively make the most of their products. The company also offers long-term leasing and rent-to-own options to enable offshore operators to own equipment in a cost-effective manner. Flexibility is the key to Nexxis’s success and our partnering program is designed to provide the most competitive edge to any company. Oil and gas sector facilities are notoriously large, complex and technically sophisticated, and are typically in operation around-the-clock. Choosing equipment for remote visual inspection (RVI) or nondestructive testing (NDT) is more complicated than many people believe and it's definitely NOT a case of one size fits all. A variety of different industries regularly use Non-Destructive Testing (NDT) processes for key quality assurance (QA), safety and asset integrity management applications. The very nature of non-destructive testing (NDT) is in many respects its biggest advantage, as it negates issues that arise using other testing methods that may result in the damage or destruction of the object being tested. The oil and gas industry relies on precise non-destructive testing (NDT) inspections to keep their equipment and facilities operating optimally with minimal downtime. In keeping with its commitment to provide Australian industry with world-class equipment and technologies which enable improved efficiencies and lower operating costs, Nexxis has just added the high-end Versatrax 150 pipe inspection crawler system to its product range. 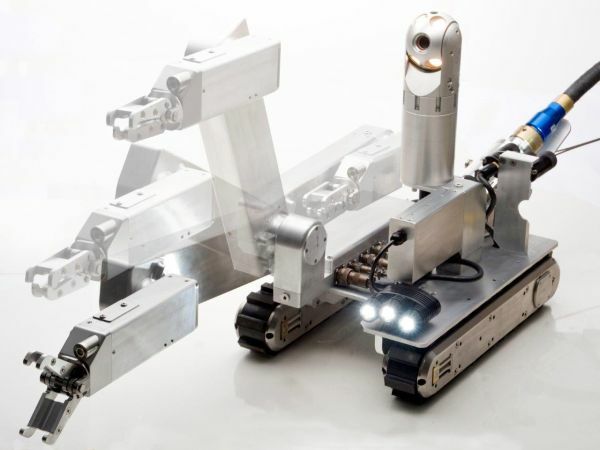 The arrival of the MaggHD robotic video magnetic crawler, the only one of its kind in Australia, has been described by the suppliers as a breakthrough in remote tank inspection. Things are happening in the non-destructive testing (NDT) equipment industry, and new research indicates some interesting trends for the years ahead.